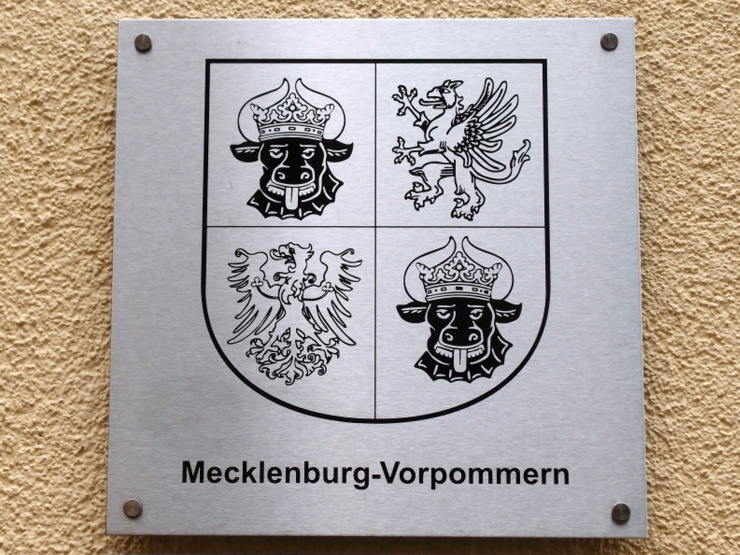 The federal state of Mecklenburg-Vorpommern was formed through the merger of the historic regions of Mecklenburg and Vorpommern after World War II. The both bull’s heads refer to Mecklenburg-Schwerin and Mecklenburg-Strelitz, the griffin is a symbol for Pomerania (Pommern), the eagle of Brandenburg refers to the Uckermark, which is divided between Mecklenburg-Vorpommern and Brandenburg today. This entry was posted in Coat of Arms and tagged Germany, Mecklenburg-Vorpommern, Schwerin by Travelwriticus. Bookmark the permalink.